What kind of stuff is the world made of? What is the nature or substance of things? These are ontological questions, and they are usually answered with respect to the objects of science. The objects of technoscience tell a different story that concerns the power, promise and potential of things – not what they are but what they can be. Seventeen scholars from history and philosophy of science, epistemology, social anthropology, cultural studies and ethics each explore a research object in its technological setting, ranging from carbon to cardboard, from arctic ice cores to nuclear waste, from wetlands to GMO seeds, from fuel cells to the great Pacific garbage patch. 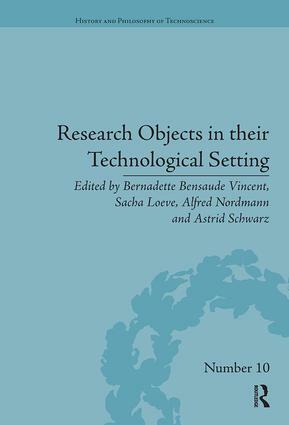 Together they offer fascinating stories and novel analytic concepts, all the while opening up a space for reflecting on the specific character of technoscientific objects. With their promise of sustainable innovation and a technologically transformed future, these objects are highly charged with values and design expectations. By clarifying their mode of existence, we are learning to come to terms more generally with the furniture of the technoscientific world – where, for example, the 'dead matter' of classical physics is becoming the 'smart material' of emerging and converging technologies.